Damian represents management in the areas of labour arbitration, labour relations board matters, occupational health and safety, employment standards, wrongful dismissal, human rights, health care and executive compensation. Damian also advises clients in the employment and labour aspects of business transactions and acquisitions. Telmetrics Inc. in its acquisition by Marchex, Inc. for US$13.1 million in cash. Panavision Inc. in its acquisition by Saban Capital Acquisition Corp and combination with Sim to form Panavision Holdings. MHR Fund Management LLC in connection with its acquisition of a controlling interest in an Alberta corporation by way of subscriptions for preferred stock. immun.io Inc. in its sale to Trend Micro. ConocoPhillips in the sale of its interest in the Foster Creek Christina Lake (FCCL) oil sands partnership, as well as the majority of its western Canada Deep Basin gas assets, to Cenovus for total proceeds of C$17.7 billion. Procera Networks Inc., an affiliate of Francisco Partners, in the C$562 million acquisition of TSX-listed network policy control solutions company Sandvine Corporation by way of plan of arrangement in Ontario. Apache Corporation and its subsidiaries in their agreement to sell producing oil and gas assets in the Deep Basin area of western Alberta and British Columbia for US$374 million. JP Morgan Chase & Co. as Canadian counsel in the sale of its physical commodities business to Mercuria Energy Group Limited, a global energy and commodities trading company, for C$3.5 billion. Devon Energy Canada in the disposition of some of its Canadian conventional assets to Canadian Natural Resources Limited for C$3.125 billion. Spud Energy Pty. Limited in the reverse take-over of Jura Energy Corporation. Golden Crescent Investments Ltd. an affiliate of Citadel Capital, in its proposed sale of National Petroleum Company Egypt Limited, to Sea Dragon Energy Inc. Advises a diverse range of clients on employment standards, wrongful dismissals and human rights issues. Represents management in labour arbitrations, and in labour relations board matters. Provides critical guidance to and advocates for companies in respect of occupational health and safety concerns. Advises clients in the employment and labour aspects of business transaction and acquisitions. Chambers Canada: Canada’s Leading Lawyers for Business, 2016-2019: Employment & Labour (Alberta). 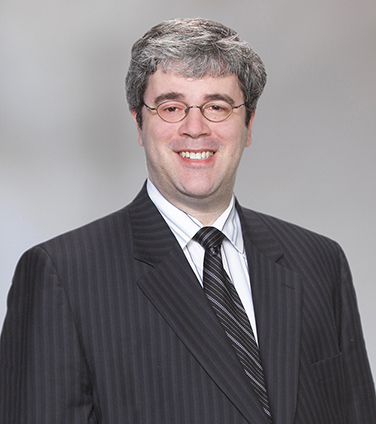 The Best Lawyers in Canada, 2014-2019: Labour and Employment Law. Employment & Labour Law in Alberta, Lexology Navigator, 2017-2018. How to Deal with the Maternity and Parental Leave Provisions of the Employment Standards Code of Alberta, Lorman Publications, August 3, 2010. Bad Faith Damages and How to Avoid Them in Termination Situations, Lorman Publications, January 3, 2009. Conducting a Proper Workplace Investigation, Lorman Publications, October 2007. Dropping the Axe Lightly, Canadian Corporate Counsel, 2007. Change of Control Agreements, Osler, Hoskin & Harcourt LLP Client Seminar, 2007.